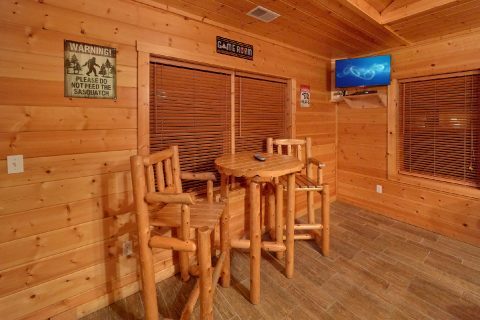 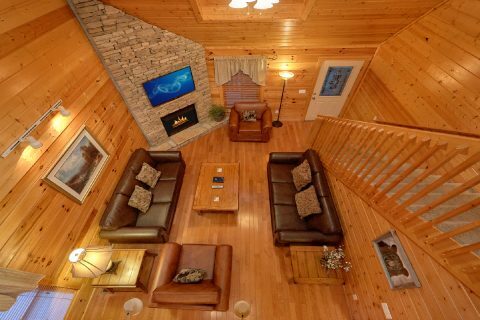 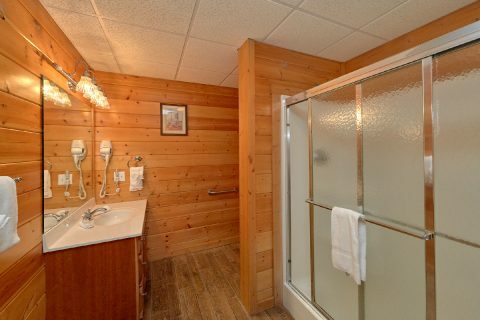 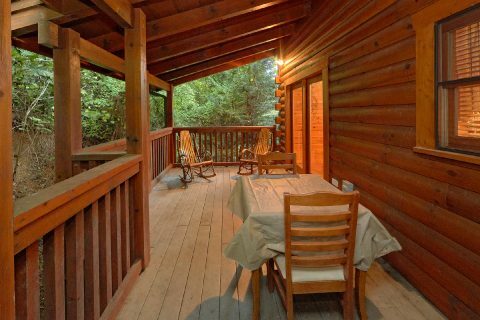 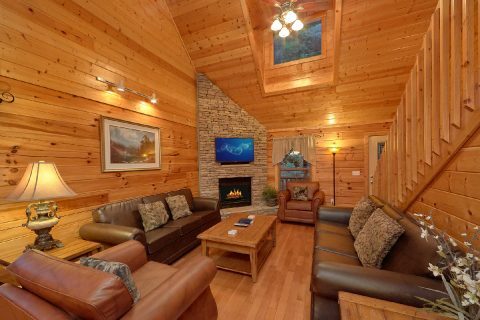 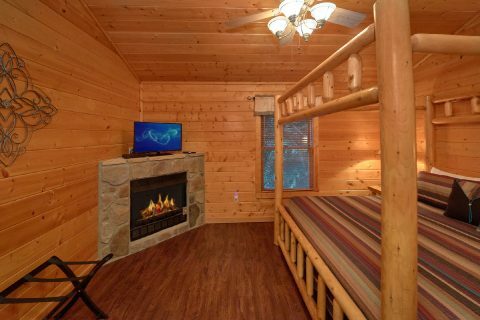 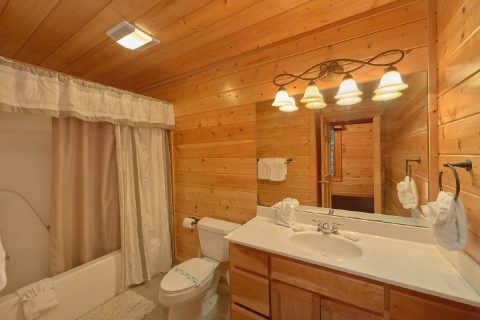 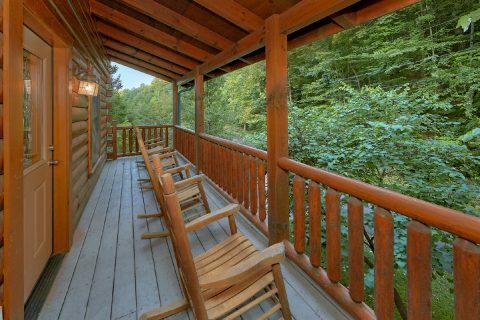 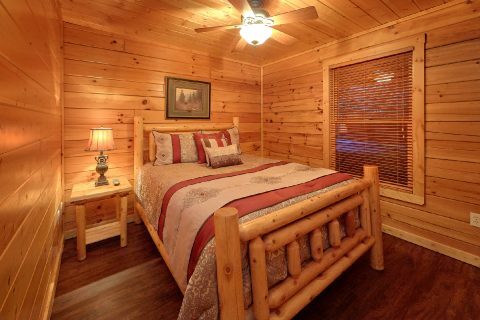 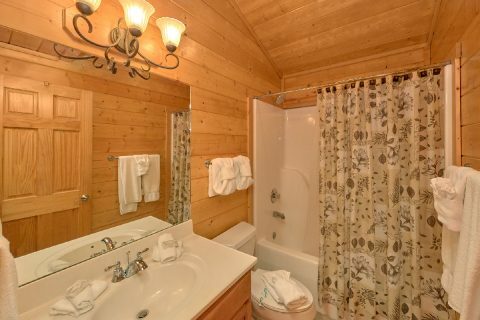 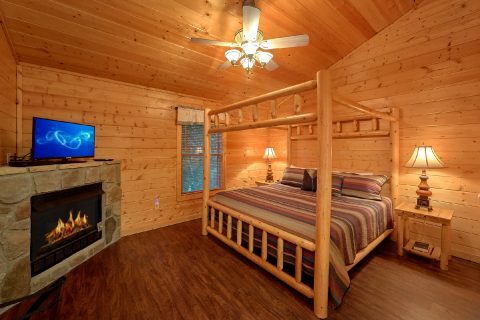 Nestled in a quiet spot that's less than a mile from Downtown Pigeon Forge, you'll find "In The Heart Of Pigeon Forge," a 5 bedroom luxury cabin that sleeps up to 15 guests in comfort! 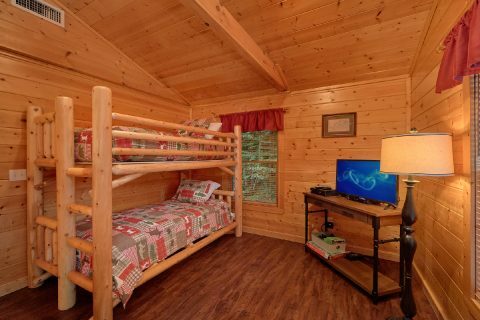 From this cabin's prime location near the Pigeon Forge Parkway, guests of this rental will enjoy quick access to top local attractions like Dollywood, Dolly Parton's Stampede, The Island, and The Titanic Museum. 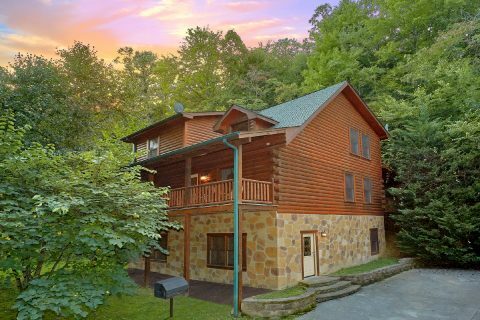 Better yet, other destinations like Downtown Gatlinburg and Great Smoky Mountains National Park are only a short drive away. 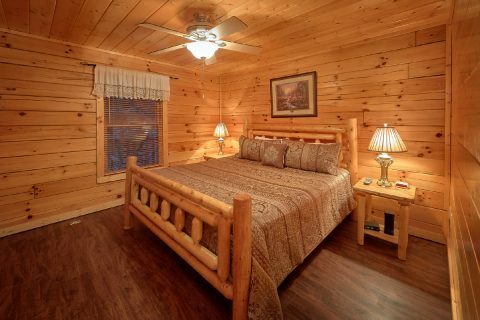 When you return to your cabin after an excellent day spent exploring the Smokies, you'll be glad you reserved such a comfortable cabin for your stay. 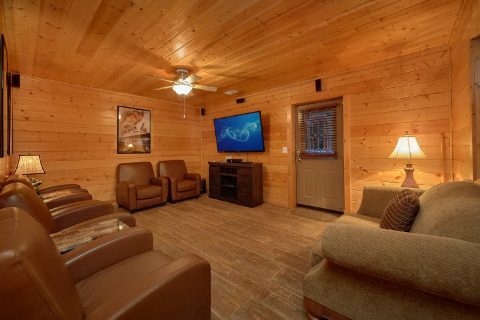 For spending quality time with friends and family, you can enjoy gathering around the television and gas fireplace in the living room. 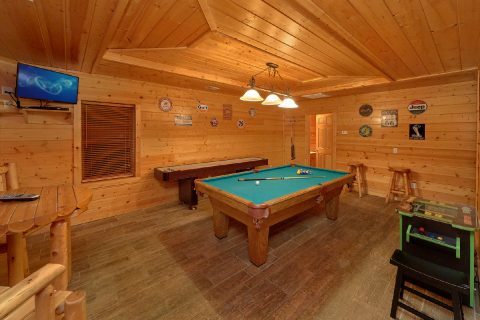 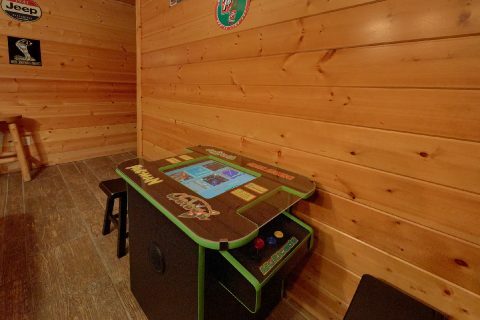 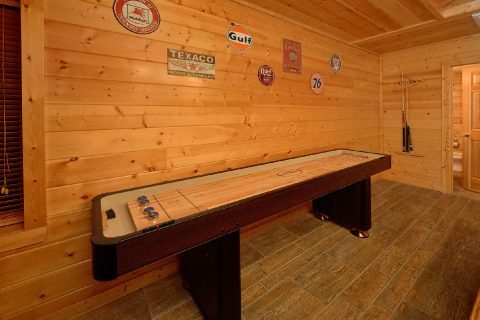 For some fun and friendly competition, you can enjoy this cabin's game room that features a shuffleboard table, an air hockey game, a billiards table, and a cocktail arcade table. 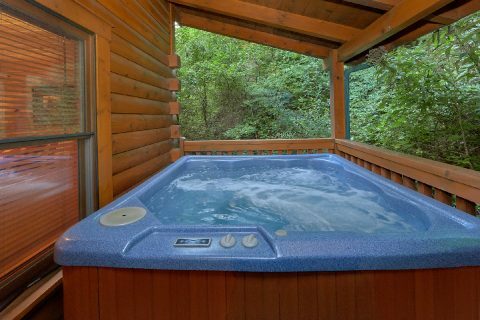 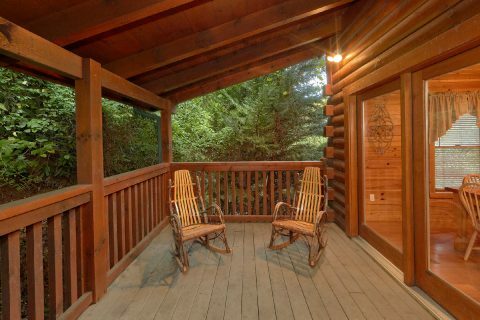 To enjoy the fresh mountain air, you can always step outside onto your cabin's deck with a wooded view to take a dip in the soothing waters of your cabin's hot tub. 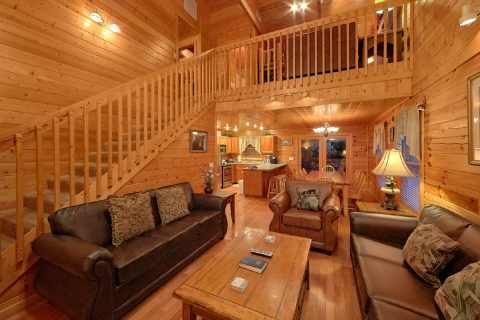 For even more entertainment, the upstairs loft also provides an Xbox 360 and a television for your enjoyment. 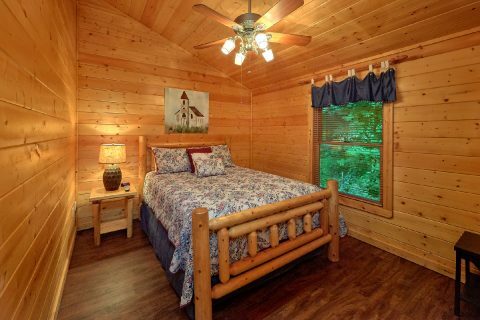 With 5 bedrooms with televisions and additional sleeping space, this cabin can easily accommodate up to 15 guests in comfort. 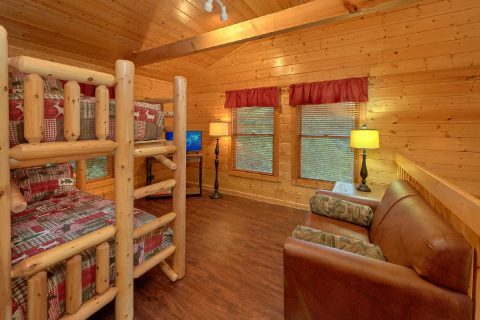 With 3 king-size beds, 2 queen-size beds, a twin bunk bed, a sleeper sofa in the living room, and a twin sleeper in the loft, there's plenty of comfortable space for your family and friends. 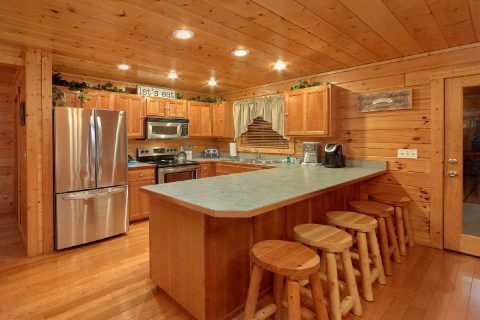 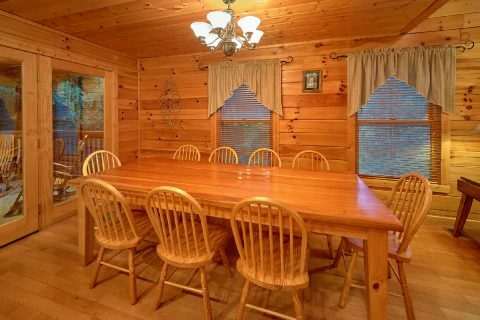 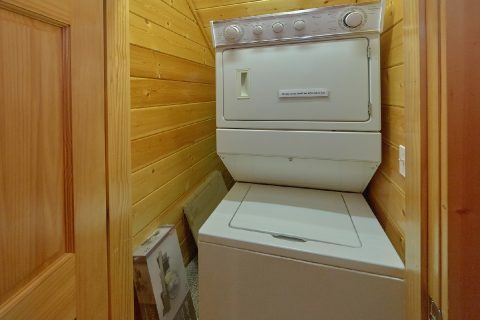 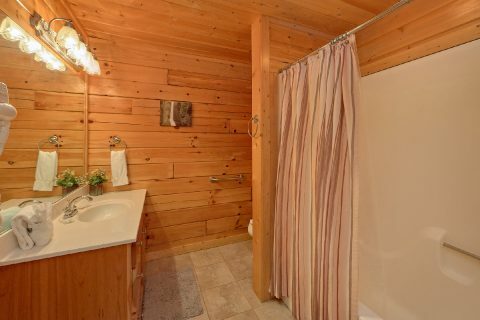 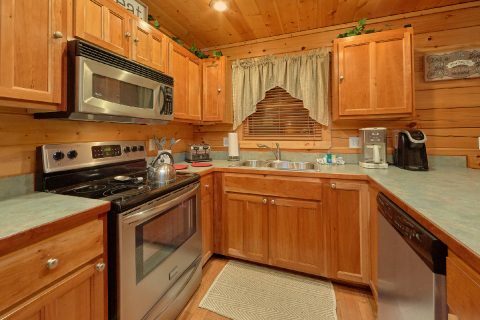 With practical amenities like a full kitchen, a dining area, an outdoor grill, WiFi, and a washer/dryer, this cabin has everything you need for a simple, carefree vacation in the Smokies. 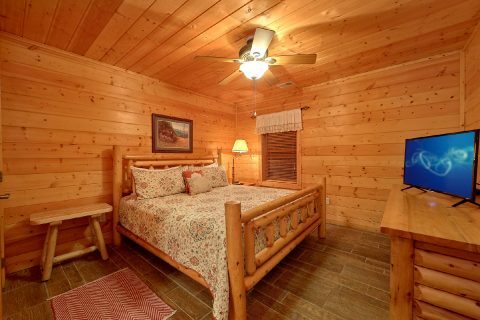 Book "In The Heart Of Pigeon Forge" today with Cabins USA Gatlinburg and you'll save 15% on your nightly rate for your cabin vacation in Pigeon Forge!